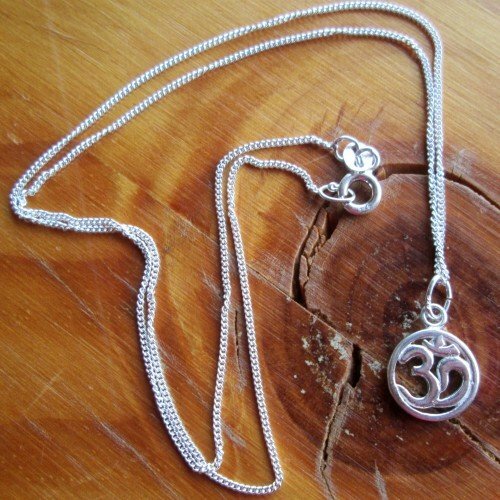 Om pendant solid silver is supplied with a fine 18 inch (45cm) sterling silver chain. The pendant measures approx. 12mm or half and inch in diameter. I’ve always found it hard to find attractive OM pendants. Therefore, I was pleased to find these and offer them on my website. Furthermore, I find them good value for money.